'Some bright kid's got a gun and 2000 rounds of live ammo. And that gun's no peashooter. It'll go through a brick wall at a quarter of a mile.' Chas McGill has the second-best collection of war souvenirs in Garmouth, and he desperately wants it to be the best. 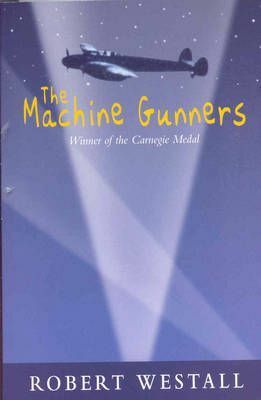 When he stumbles across the remains of a German bomber crashed in the woods - its shiny, black machine-gun still intact - he grabs his chance. Soon he's masterminding his own war effort with dangerous and unexpected results..."...not just the best book so far written for children about the Second World War, but also a metaphor for now." - Aidan Chambers, "Times Literary Supplement".